Place eggs in a medium-sized pot and fill with water until eggs are just covered. Add vinegar. Heat on high until water just starts to boil. As soon as you see bubbles, reduce heat to simmer and set a timer for 11 minutes. When the timer beeps, place eggs into a strainer and run under cold water for a 30 seconds. Ét voila – picture-perfect eggs. 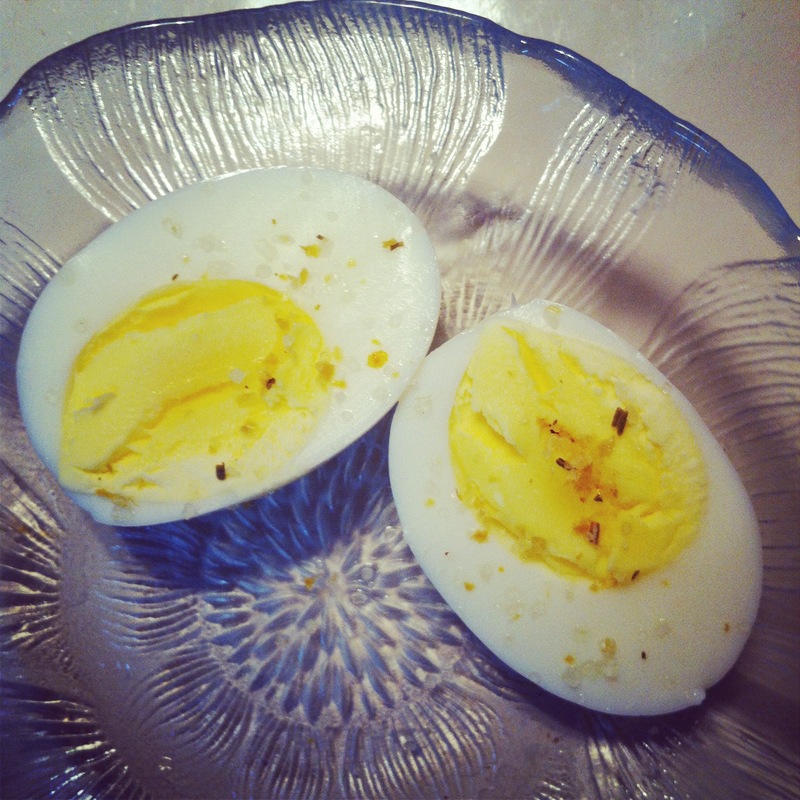 Note: I find hard-boiled eggs easiest to peel when they’re room temperature. ← Frittata to boost your morning! What’s the point of the vinegar? I get that it helps to hold the egg together when you’re poaching eggs, but when you’re hard-boiling?